Cyprus is quickly becoming one of the hottest destinations for adventurous backpackers the world over, and for good reasons. It has a unique and varied cultural heritage with the island being divided up into the southern Greek side and northern Turkish side so a backpacker making their way around Cyprus will feast their eyes on architecture that is both eclectic and incredibly interesting. There are of course countless unspoilt beaches and let’s not forget the intense, buzzing and ever-growing night life. And finally, one of the biggest reasons why more backpackers than ever are embarking on a Cyprus adventure is because the country is remarkably safe, having one of the lowest crime rates in all of Europe. In this article we’re going to cover everything you need to know when backpacking around Cyprus and have broken things down into several distinct categories; cultural norms, safety, food, accommodation, travelling and currency. If you’re travelling between autumn and spring, then don’t be alarmed to see countless festivals going on around the island. This is one of the main ways Cypriots like to enjoy themselves and take in new experiences. Cypriots are known as being very hospitable people, so expect to be greeted warmly by strangers and try not to decline food or drink from locals when offered as this is often considered to be really impolite. show up half an hour late. They haven’t forgotten, its just that showing up slightly late for a social engagement is considered common practice in Cypriot culture. Among friends, kissing on the cheek is acceptable social protocol among Cypriots. So, if your new friend gives you a peck on the cheek don’t be startled but equally don’t read too much into it either! As mentioned at the start of this article. Cyprus is a very safe country and enjoys some of the lowest crime rates in Europe. By some estimates, it’s the 5th safest country in the world. However, this doesn’t mean you let down your guard completely and don’t have your wits about you. We recommend you keep your possessions close to you and don’t have them on display and try to be on the lookout for people that look suspicious. Most crime occurs during the summer months when the country is bombarded by tourists and pickpockets are waiting to capitalise on the opportunity. Although not explicitly a crime, some Cypriot taxi drivers and restaurant owners may overcharge if they spot your backpack as they will assume you have the means to pay a little, or a lot more than the locals. The Cypriots love their food! And there are countless restaurants of almost all cuisines dotted all over the island, so you are bound to find somewhere you like that fits your budget. Cyprus cuisine is particularly unique as it inventively blends both Greek and Turkish traditions and the results are mouth-wateringly good! Popular traditional dishes include Kleftiko which is a famous Cypriot dish that’s usually made from a lamb’s legs. Then there is Souvla which is another popular meat dish which looks very much like Russian shashlik. Moussaka is also very popular on the island, it’s an eggplant-based dish that includes lamb, mushrooms or potatoes under a sauce. Most dinners on the island include several types of cheeses, olives, sauces, meat, seafood and fresh breads. If there is one word we would use to sum up Cyprus cuisine, it would be varied. In terms of accommodation, there’s something in Cyprus to suit every backpackers budget. There are lots of hostels and cheap hotels like the famous Trip Yard Hostel and Lima Sol House Hostel which are both, understandably, very popular among backpackers due to the affordable price. If you’re a backpacker that has a little spare cash and wants a slightly higher level of comfort without breaking the bank, then there is the Acapulco Resort Convention SPA Hotel which is typically 2-3 times the price of a hostel room. There are many ways to get around in Cyprus. There is walking of course, but if you need to travel a long distance, trudging along with a large backpack on your back is going to make you tired quickly. There are taxis, but they don’t run as reliably as the ones you are probably used to in major cities and are also very expensive. There is a third option and is the one we recommend. And that is travelling around Cyprus by bus. 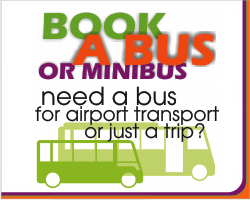 You can easily plan your journey by visiting cyprusbybus.com. The busses are comfortable, arrive promptly and are very well priced. An adult fare for a daily single is just 1.50 euros and for students the fare is even cheaper at just 0.75 euros. If you know you will be traveling a lot during the day then we recommend the unlimited daily pass which is just 5 euros for adults and 2.50 euros for students. And there are even bigger savings to be made if buying a weekly or monthly pass. You can see all the prices here. The coach is easily the cheapest and most comfortable mode of transport in Cyprus. It’s time to talk money. The currency in Cyprus is the Euro so be sure to have a decent amount of cash on you before you set off on your backpacking adventure around Cyprus. However, an increasing number of places around Cyprus are now accepting credit/debit card. But how much do things cost? Data from Numbeo.com is very helpful in this instance. A meal in an inexpensive restaurant will set you back about 10 euros and a combo meal at McDonalds works out at about 6 euros. A 0.5 litre of beer is approximately 3 euros and a 300ml litre of water is just shy of a euro, at 0.83 euros. If you don’t fancy eating out then the prices are equally reasonable. 1kg of chicken breasts cost around 6.50 euros, 1kg of rice is about 1.50 euros and 12 eggs are around 2.50 euros. So, there you have it. Everything you need to know about backpacking in Cyprus. We’ve covered the cultural norms, safety, food, accommodation, travelling and currency. We wish you a safe, exciting and mind-expanding backpacking trip and if you have any further questions just drop a comment in the comments section or send us an email. We’d be happy to hear from you.